This past week, I worked with one of my amazing clients from my coaching program to create her career master plan. She is a young, smart, and motivated entrepreneur finding her way in this world. She has lots of great ideas with plenty to offer the world. What we needed to do for her was to create a master career plan through brainstorming, idea organization and categorization. We decided to accomplish this using the most powerful tool I know, a method that I have often used with clients, students as well as in my own projects, that of mind mapping! As part of our BackToSchool campaign, we’ve collected a number of great uses and benefits of mind mapping in education. 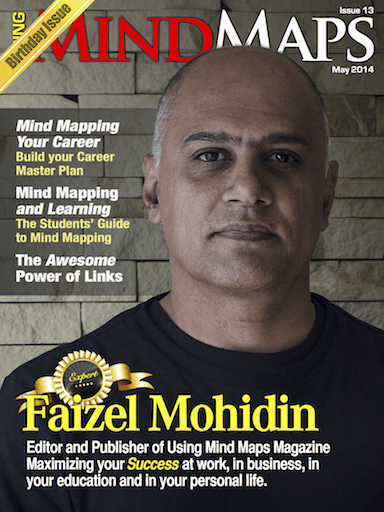 If you’ve missed our last post on mind mapping for teachers, you can check it out in the previous issue. This time, we will talk about mind mapping for students, who, as you will see, can profit tremendously from applying this easy but effective tool. Find out what you can do with mind maps to improve your memory, take more effective notes and enhance the results of your studying efforts! For those of us who are blessed with the gift of sight, it is easy to see the important role it plays in our daily lives. Not only do we live within a reality of pictures and moving images, but what is even more profound, is that we dream and think in pictures 24/7. In fact, our entire existence revolves around the concept of visual images passing through us like clouds moving across the sky. Given all this, is it really surprising that mind mapping is considered to be a fundamental key for accelerated learning?